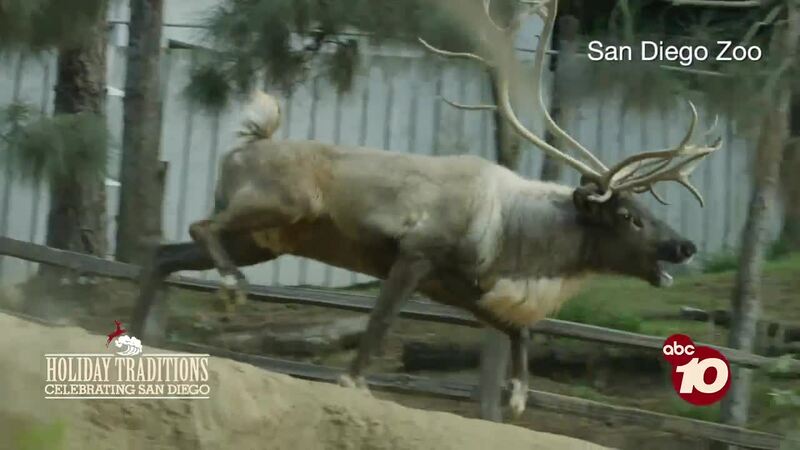 The reindeer are prancing at the zoo. SAN DIEGO (KGTV) - The San Diego Zoo puts a twist on a traditional Christmas carol this winter with its ‘Jungle Bells’ event. Visitors can meet Santa and some of his elves who fly through Balboa Park with the Toy Shop Hop trampoline performance. Anyone who enjoys the double-decker bus ride around the zoo will love the train ride to the North Pole. Be sure not to miss Dr. Zoolittle’s animal-themed version of ’Twas the Night Before Christmas where more than a mouse is stirring. Jungle Bells runs from December 14 through January 6. For more information, click here .